In 2018, the Aurus Senat presentation took place at the Moscow Motor Show. In 2019 official photos of the Aurus Arsenal minivan appeared, and later the Russian brand confirmed its participation in the races. Now there is another new product from the automaker, the Aurus convertible. 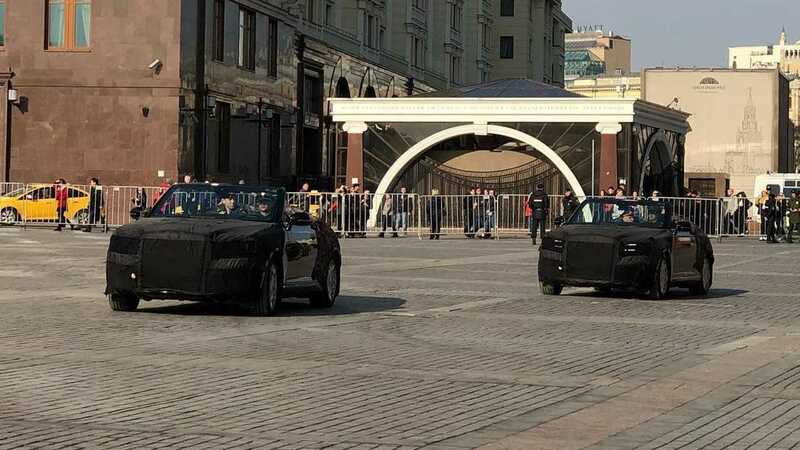 Two cars with open tops were photographed at once on Red Square in the very center of Moscow. The cars took part in a rehearsal of the military parade for Victory Day. 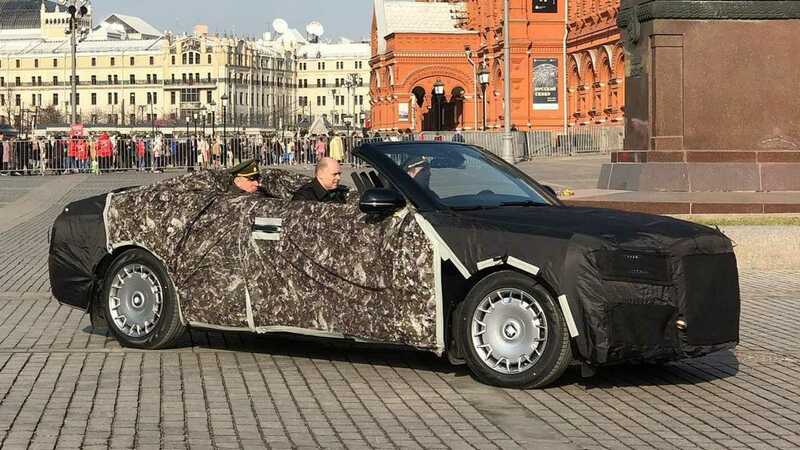 Since the Aurus convertible hasn't been officially revealed yet, these cars are draped with camouflage. Judging by the general appearance of these camouflaged prototypes, the design will closely follow what we see on the existing Aurus Senat sedan. Compared to the layers of camouflage tarps and wrappings we often encounter on prototype vehicles, the coverings on these models are fairly see-through and it's quite easy to identify the Senat's massive grille up front. The headlights appear to be a close match as well, but we're not given a good look around the back to spot potential differences there. From a mechanical perspective, the open model should also closely mirror the sedan since the whole Aurus family is based on a single modular platform. Obviously, this model trades four doors for two, and we'd expect to see some additional reinforcement underneath to compensate for the lack of a roof. Interior design is likely similar to the Senat as well. We don't know what the Auris convertible will be called, but seeing these camouflaged models here, we know when it will premiere. The big drop tops will be part of the Victory Parade happening on May 9 in Moscow.